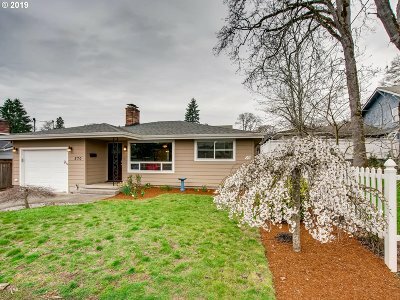 Great location in desirable Gladstone neighborhood! This darling 1-level home has hardwood floor with spacious open plan that lives large. Updates include: vinyl windows, new bathroom, new doors & trim, paint, fireplace glass doors, new retaining wall & flagstone patio. Located in a well established neighborhood, enjoy nearby parks, river access, shops & restaurants. Easy access to I-205. A move-in ready well maintained charming home.